With panel discussion before the film! 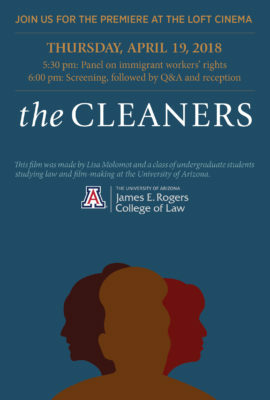 THURSDAY, APRIL 19 AT 5:30PM | FREE ADMISSION! This show was SOLD OUT by the time we got there tonight. Glad to see that publicity worked and all 100 seats were taken in theater 3, for a free local Tucson movie and reception. Maybe the Loft will show it again on the Big Screen.